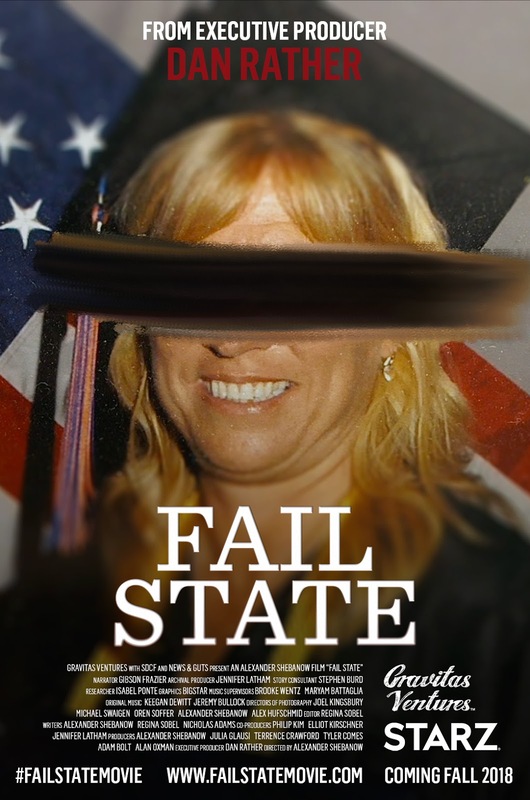 Executive produced by news legend Dan Rather, "Fail State" investigates the dark side of American higher education, chronicling the decades of policy decisions in Washington, D.C. that have given rise to a powerful and highly-predatory for-profit college industry. With echoes of the subprime mortgage crisis, the film lays bare how for-profit colleges exploit millions of low-income and minority students, leaving them with worthless degrees and drowning in student loan debt. Showtimes: 2:30 p.m., 4:30 p.m., 7:00 p.m., 9:45 p.m.